Register at the bottom of this page or click here to go directly to the EventBrite page to register. Living Room Conversations are a conversational bridge across issues that divide and separate us. They provide an easy structure for engaging in friendly yet meaningful conversation. These conversations are open to anyone and everyone – no prior training or experience is needed to participate. You may find that you have similar views to those in your conversation or you may find that you are as different as can be. It can be a valuable experience to let go of your expectations of what the conversation should be and focus on what it is in the moment. 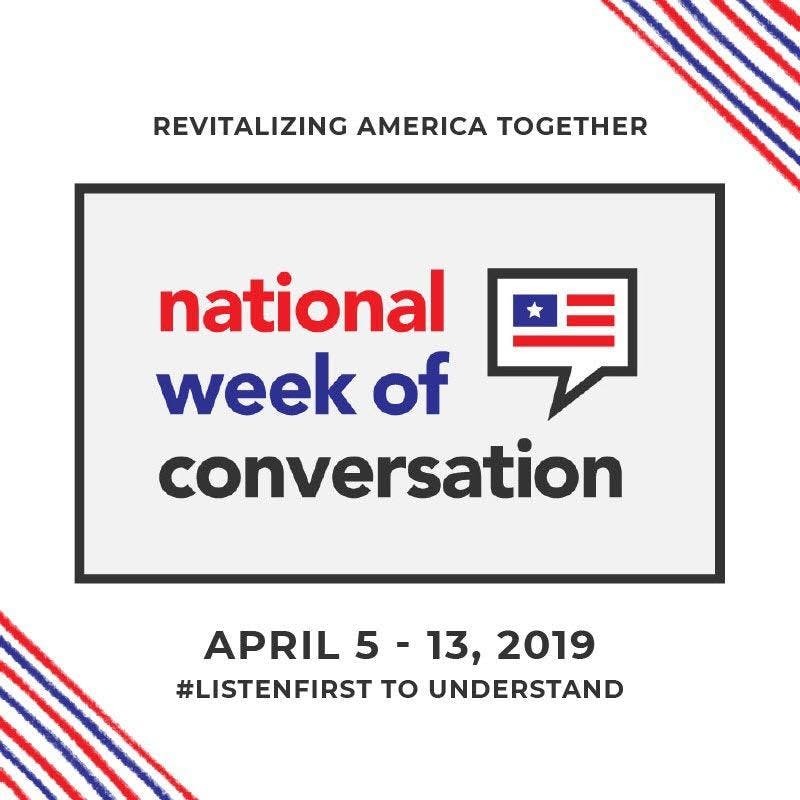 The National Week of Conversation topics have been chosen to encourage participation and allow for everyone to be able to share their own life experiences and viewpoints as well as actively listening to those of others. Join us for a free online (using Zoom) Living Room Conversation on the topic of Entertainment and Media: Created Culture or Following it?. The role and impact of our larger entertainment and media system has long been a source of lively discussion in America. Since the advent of the radio, then television, then cable, now internet — there have always been groups of people asking questions about what these advances in technology will mean for US life and what, if any, cautions or guidelines should be embraced to ensure their productive use. How do we consume entertainment? And what is the impact that we experience personally or in the community? What are your perspectives on entertainment and media issues? What is your favorite type of entertainment? What have you learned about other people from your entertainment? How close is your experience in real life compared to life presented in your entertainment? Were you ever surprised when what you learned in entertainment is different from real life? What happened?